Sunday is the day so many people have been waiting for. To see what happens in the final season of Game of Thrones. Now, to be TOTALLY honest… I haven’t seen one episode. I know, I know… “How do you LIVE?” “What do you DO?” I’ve heard it all before. 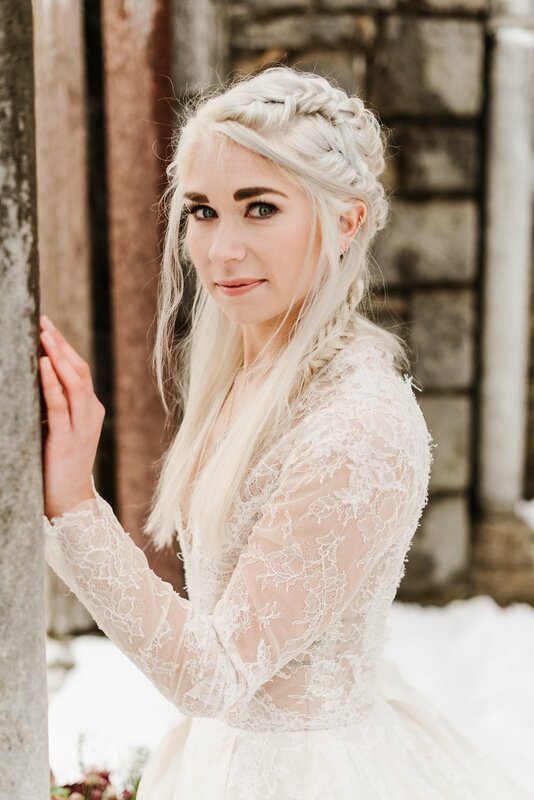 check out this STUNNING #GOT Themed Wedding Styled Shoot. The tablescape was adorned with smoky grey flutes and pewter goblets. Black and lavender taper candles were placed in between the woven florals that ran the length of the table. Red ribbons and a custom foil pressed menu card graced the grey and black plates. the stationery was inspired by the look and feel of the show. I channeled the dark and moody castles and the ominous feelings through the custom watercolor texture. A pearl white shimmer paper was used to make the dark watercolor have a lighter feeling throughout the suite. Then, I sketched the venue; hammond castle and featured that on the top of the invitation & the RSVP card. Silver foil stamping was a no brainer on top of the dark watercolors to make the art and text really pop off of the page. 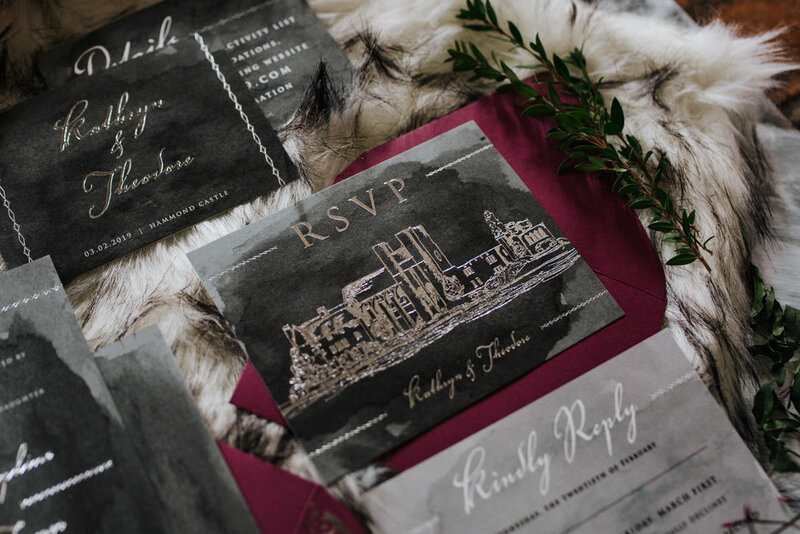 the designs could easily be paired with a silver or a burgundy envelope depending on your color palette. Thank you so much to Top Knots Co-Working and their founders, Sarah Lord and Callie Hefferan for putting together this amazing styled shoot workshop. But, to also all of the other vendors and creative wedding professionals as well for pulling off an amazing compilation of talent and passion for what we do.